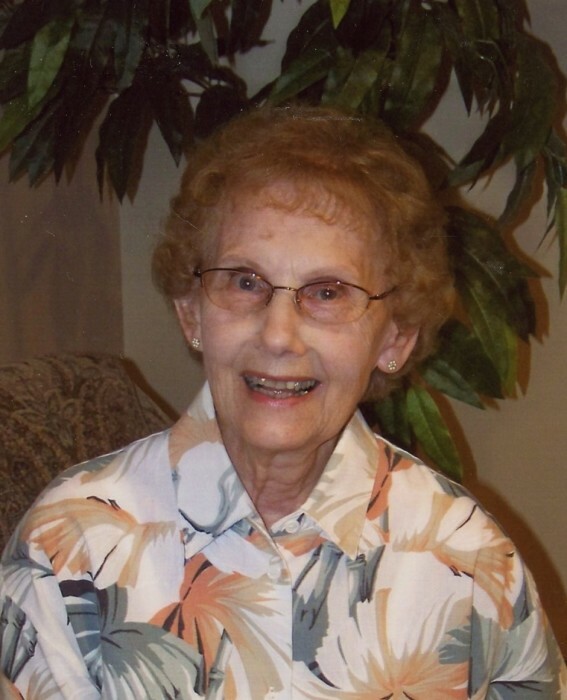 To the sorrow of many, Delphine Marie Koscielniak, age 88, of Foley, passed away on August 17, 2018 at her home. Mass of Christian Burial will be Tuesday, August 21, 2018 at 11:00 AM at St. Elizabeth’s Catholic Church in Brennyville. Rev. Leo Moenkedick and Rev. Michael Wolfbauer will officiate. Visitation will be from 9 to 11 AM at the church on Tuesday. Burial will be in the Parish Cemetery. Memorials are preferred to her family in lieu of flowers and plants. Delphine Marie (Vouk) Koscielniak was born October 12, 1929 in St. Cloud, Minnesota to Clem and Marie Vouk. She was no stranger to hard work, being the eldest child in the family and growing up during the aftermath of the Great Depression. She married her sweetheart, Joe Koscielniak, on October 2, 1948 at St. Elizabeth’s Catholic Church. Delphine was a devoted Christian and had planned on becoming a nun, thank God she didn’t! She was, however, a wonderful example of living with Christ throughout her whole life. Delphine worked several jobs since she was 14 including The Café in Minneapolis, the Diner in Milaca, and many years at Gorecki Manufacturing in Milaca. She taught Sunday school, raised six children, did chores on the farm, tended a quarter-mile long garden, cooked and baked countless meals, volunteered, vigorously exercised, and spent time with her friends and family until she was diagnosed with terminal cancer. Delphine is survived by her sons and daughters: Donald (Peggy) of Hillman, Joan (Bob) Anderson of Foley, Nancy Koscielniak of Foley, Janel (Bob) Vaillancourt of Rice, Jane (Ken) Latterell of Foley and Wayne (Deanne) of Foley; 12 grandchildren; 13 great-grandchildren; sisters Demain Koscielniak of Foley and Delores Stolarczyk of Blaine; brother-in-law, Jacob Jurek of Foreston; as well as other relatives and friends. She was preceded in death by her parents; husband, Joseph Koscielniak; grandson, Stefan Koscielniak; sisters Darlene Miller and Marcella ‘Sally’ Jurek; and brother, Eugene ‘Gene’ Vouk.